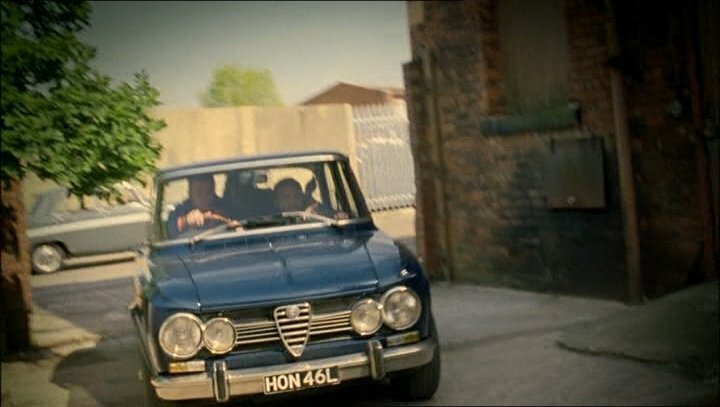 IMCDb.org: 1973 Alfa Romeo Giulia Super 1.6 [105.28] in "Life on Mars, 2006-2007"
There's a small typo mistake - the car is named "Giulia", not "Guilia". My dad had such a car long ago. Quote There's a small typo mistake - the car is named "Giulia", not "Guilia". My dad had such a car long ago. Quote [quote]There's a small typo mistake - the car is named "Giulia", not "Guilia". My dad had such a car long ago. ...I copied it directly from the web page I found it - didn't spot the typo! 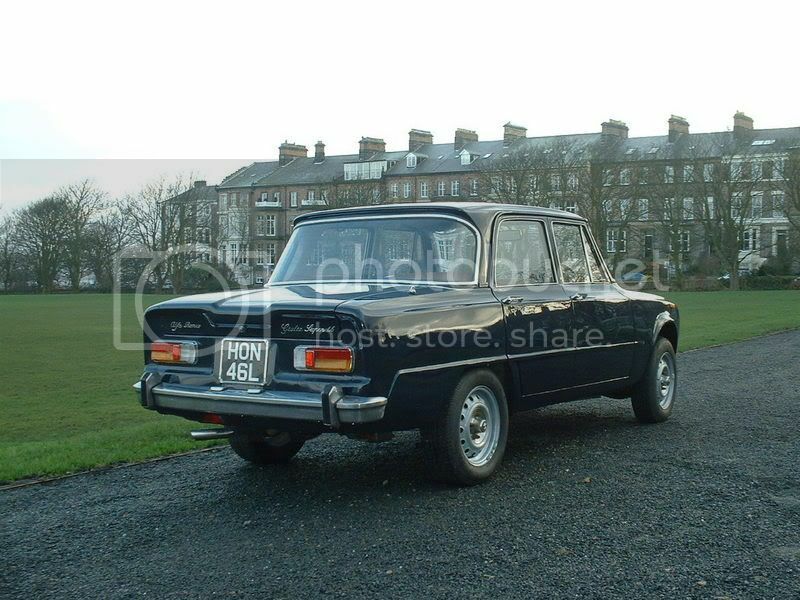 In 1973 it was badged as 1.6 ( not 1600 ). Since it's a r.h.d. car, the internal code is [ 105.28 ]. rpcm wrote In 1973 it was badged as 1.6 ( not 1600 ). Since it's a r.h.d. car, the internal code is [ 105.28 ]. 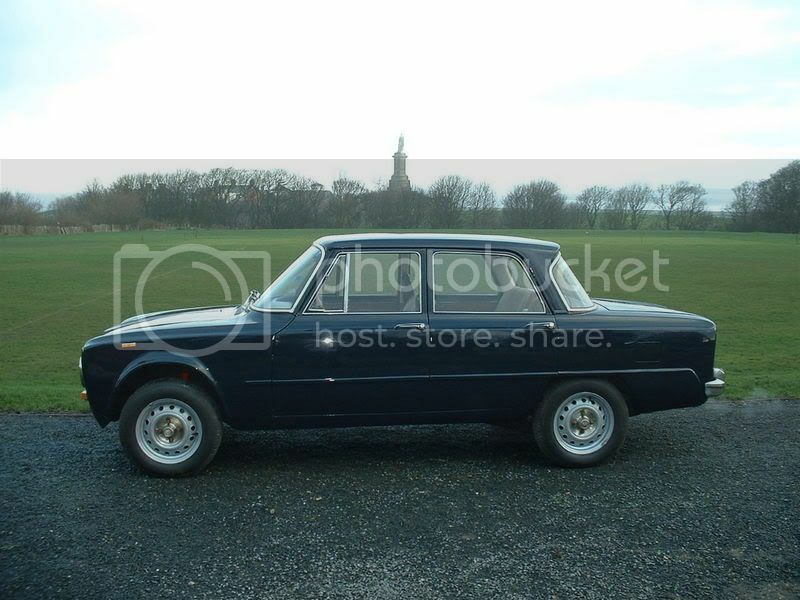 she is badged 1.6 and is 105.28 first registered march 73.
just completed restoration with new floor pans, sills,etc. Rebuilt suspension, brakes,engine. Just a few bits of cosmetics to finish over the winter. Now on the road again until they start putting salt down. Nice to know she's still alive and kicking .